Who Were The Important People In WW2? | . I like that you listed the people that you find to be most important during WW2, but I think you should’ve also mentioned that this list is nowhere the size that would be required to list all of the wars most important people. But I do like the info provided on each, it’s not much, but it’s enough for someone who is uneducated about WW2. Thanks for posting this, it’s exactly what I needed to finish my project. 1 tip: I would’ve liked to know their dates of birth. good list. i must admit there were a few people i didn”t kno. How ever i do believe oine important name you may have skipped over. 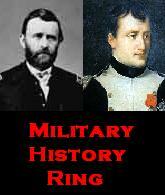 His qualities as a leader and a fighting soldier emerged in France during World War 1. Showing Increadibe dash and courage on the battlefield, he recioeved several decorations for bravery. He also won the promotion of makor to Brigadier General . He was commander of the Allied forces in the Pacific. He came up with the strategy of ‘Island Hopping’ Hi frith isand-hop onto Guadalcnal led to a 6 month struggle over the island with fresh Jepanese pooring out. After 6 months, the Japanese lost some 24,000 of their 36,000 tropps and abandoned the island. I’d like to join the army when I’m older can you help me with that? ISLAND HOPPING WASN’T MACARTHUR’S IDEA, BULL HULSEY AND THE NAVY CAME UP WITH THE IDEA TO GO AROUND ISLANDS THEN STARVE THE ISLAND OF SUPPLIES. HE WENT NUTS WHEN THEY WANTED TO BYPASS THE PHILLIPINES AND SHOOT STRAIGHT FOR JAPAN. thanx it was exactry what i needed. Thank you soo much! Most of these people were on my notable people homework! Intriguing, how do I apply this? i am so happy to read this and share it with my school but i am interested why is germany’s prime ministe do mean…. Is it really nessecary to split the nations up into good or bad guys? But how can it be ever be okay to kill more than 200.000 japanese innocent citizens? America were pretty much some bad guys in my opinion aswell. helped me in my homework thanks for the info. what about the Navajo code talkers? they helped with the war making secret codes to fight the battles and Japan could not figure out the code words. As for this discussion we have yet to consider other aspects. We all write about one specific application. And what about the competition. Maybe there is an alternative to this solution. Anybody know? Adolf spelt wrong, should be Adolf not Adolph. i dont bite, and if i did i couldnt bite you through my computer. wwII is interesting but terrible. did you know that in Leningrad there were over 1,000 reports of cannibalism. I’ve learn some excellent stuff here. Certainly value bookmarking for revisiting. I surprise how a lot effort you place to create this sort of wonderful informative site. This TOTALLY helped me!! I need to research people. This was convenient. Adolf was spelled Adolph. I was totally ROTFL. I think you should have hyperlinked the names so people could find out more. A suggestion for you to think about. My grampa was in ww|| and he was important!!!!!!!!!!! My father was in Europe during WW2 with the 102nd Infantry Division fighting the Germans and my uncle was in the Pacific fighting the Japanese. Nicholas – seems to me the author made it very clear that the list was longer than he could make mention of here. Don’t people comprehend what they read these days? you should add Heinrich Himmler under Germany. He was the head of the SS and in overall charge of the concentration camps and extermination of Jews. This was a fantastic resource and I’m really glad I stumbled across it. Like Isabella above me, I would have included Heinrich Himmler too, but the names and summaries as well as a timeline from a Horrible Histories book really helped me nail down people I want my year 10 class to research. Cheers! Also it was incredible to read all the comments from descendants of heroes in war. Just goes to show how relevant the war still is! I know a lot about WW2. What about Lt/Col. Robert Cole of the 101st Airborne. Along with Harrison C. Summers, Lt/Col. Cassidy, Private Joe Mann. MORGAN ANDERSON IS A BIG TURD!! You have an amazing error!!! Geroge Spencer Patton did not die in a car crash. He was shot (by Americans), he started recovering and he was poisoned(Americans turned blind eye so Soviets poisoned him). This story was not known until 1999 when an agent of the former CIA revealed it. The reason why he was killed was because he criticized the SOviets. They had to do it. The Bristish Bomber COmmand destroyedd many factories. In my opinion it was thx to this Britain on the war. I knw it’s been awhile for ppl to be commenting on here n whatever but all of you just making stupid comments are stupid! this person who did all this took him/her awhile to do it! just to help all you dumbasses out on ur work! But good info thanks keep it up!